Procter & Gamble (NYSE: PG) reported mixed fiscal second quarter earnings, as its revenue was in line and earnings per share came in ahead of market expectations. 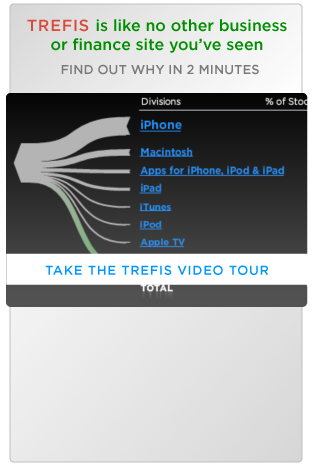 Below we discuss key takeaways from Q2 earnings report using the Trefis Interactive Dashboard. You can modify our forecasts for the company’s revenues and key drivers to see how changes would impact its earnings and valuation. In Q2, the company’s net sales grew 3% year-over-year (y-o-y) to $17.4 billion, driven by growth in the Beauty, Fabric & Health Care segments, partially offset by declines in the Grooming, Baby and Feminine Care businesses. In addition, the company’s organic sales were up 2% on 2% volume growth, with a 1% decrease in pricing and 1% growth in mix across all segments. The company’s gross margin fell 80 basis points due to higher commodity costs and an unfavorable geographic mix of sale. In addition, the company’s online sales grew 40% y-o-y in the second quarter of 2018. P&G benefited from the recent U.S. tax reform as almost 60% of its business is currently conducted overseas. The company saw reduced barriers for capital flow across markets in this quarter. As a result, the company’s all-in earnings per share came at $0.93 in this quarter, which included $0.02 per share of non-core restructuring costs and $0.24 per share of non-core charges due to the Tax Act. However, the earnings declined 68% y-o-y, largely due to the one-time tax charge in the current period and the large gain from the beauty RMT transaction in the base period. Grooming segment organic sales fell 3% y-o-y in Q2, due to reduced pricing in Shave Care, driven by lower pricing in the U.S. and low volume growth globally, partially offset by double-digit growth in Appliances. The Grooming segment contributes only around 10% of the company’s total revenues but accounts for 15% of its value, per Trefis estimates. The segment has struggled to generate revenue growth of late, due to rising competition from smaller subscription-based startups such as Dollar Shave Club and changing beard preferences in men. Consequently, P&G’s share in the wet shaving market has declined from over 70% in 2010 to 54% in 2016. However, we forecast the segment’s total revenues to return to growth by the end of 2018, as P&G is trying to cater to younger customers through the launch of its direct-to-customer model. The male grooming market offers a big growth opportunity for P&G, as it is expected to grow at around a 5% compound annual growth rate (CAGR) to reach $43 billion by 2020. P&G continues to expect its organic sales growth to be in the range of 2% to 3% in fiscal 2018, despite the continued deceleration of market growth rates. It also expects all-in sales growth of around 3% for the same period. In terms of the bottom line, the company now expects its core earnings per share growth to be in the 5% to 8% range, as compared to the previous forecast of 5% t0 7%, reflecting the benefit from the Tax Act.